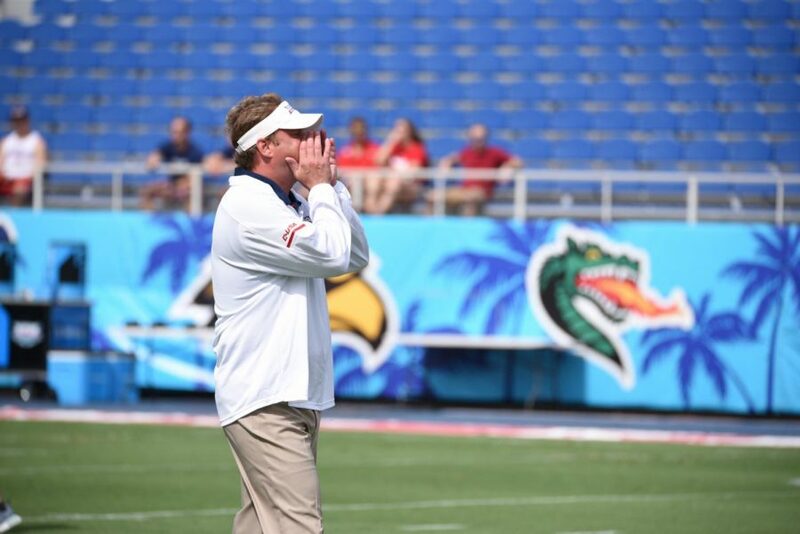 The practice match was held at the FAU stadium on Saturday afternoon. 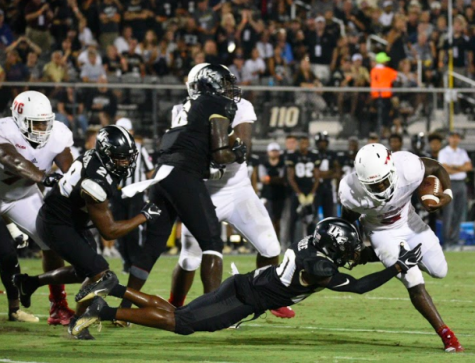 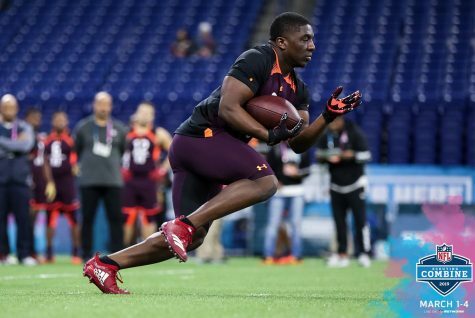 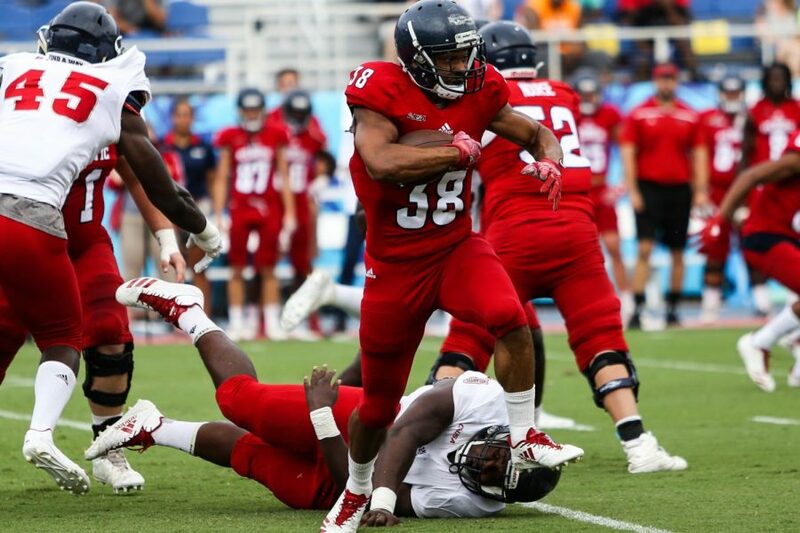 FAU senior running back Silver Saunders (38) runs the ball as a white shirt player misses the tackle. 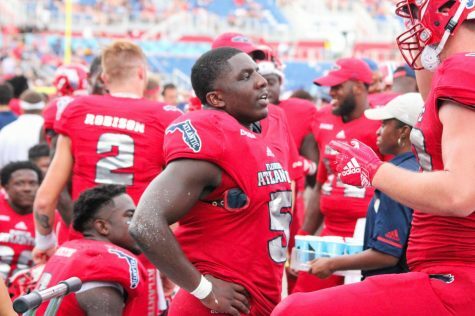 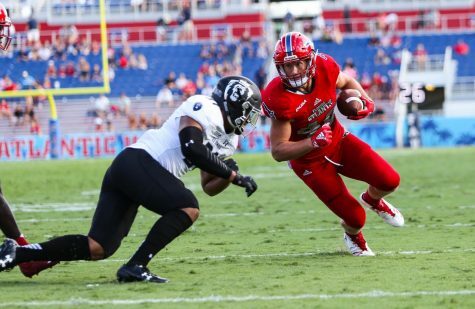 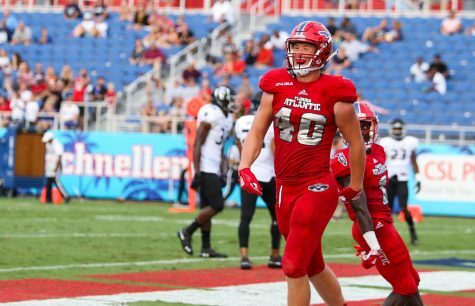 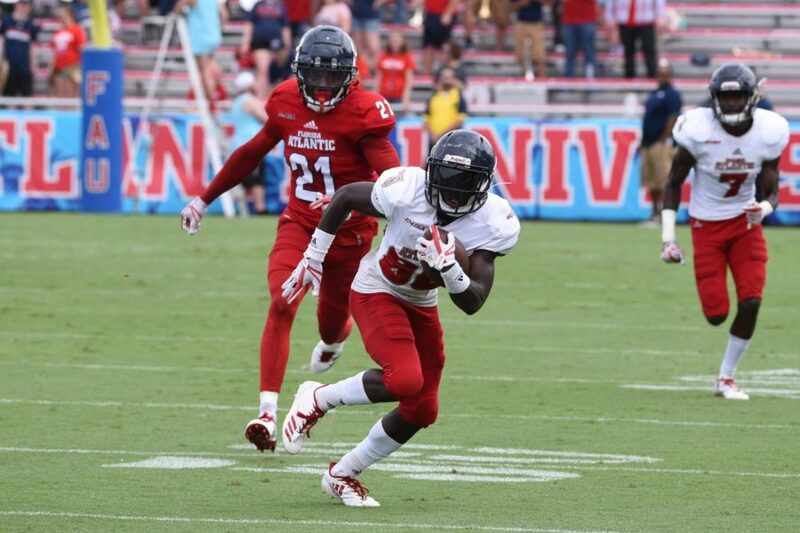 The FAU football red shirt team wins 20-14 against FAU football white shirt team. 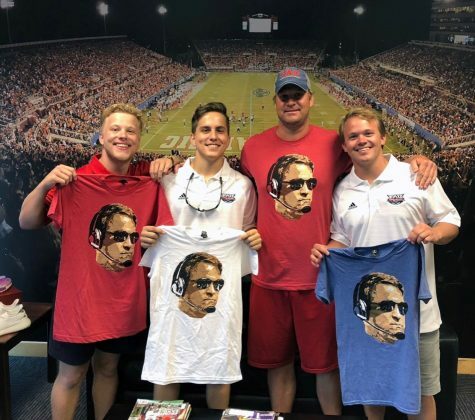 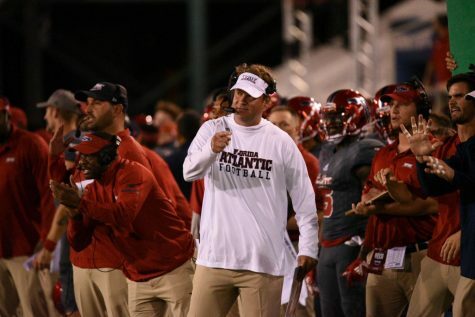 FAU football coach Lane Kiffin stands behind each play giving orders during the spring practice game Saturday afternoon at FAU Stadium. 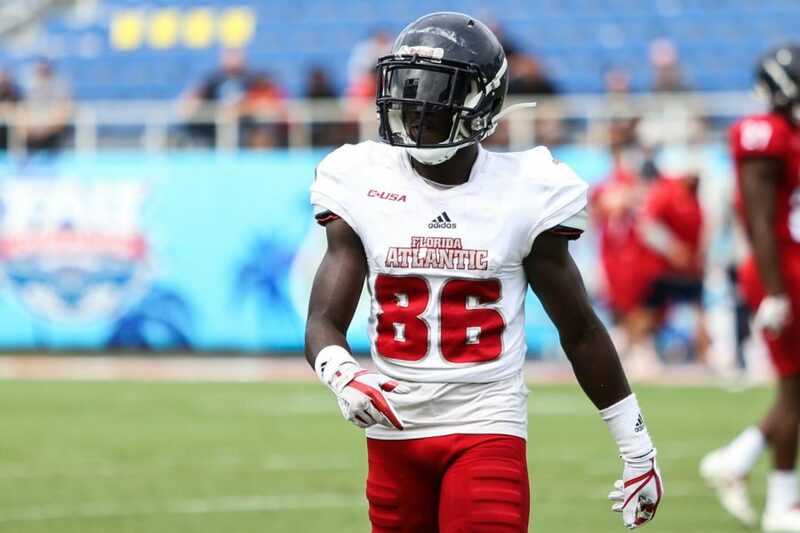 FAU sophomore wide receiver Willie Wright (86) looks over to the sideline before the play begins. 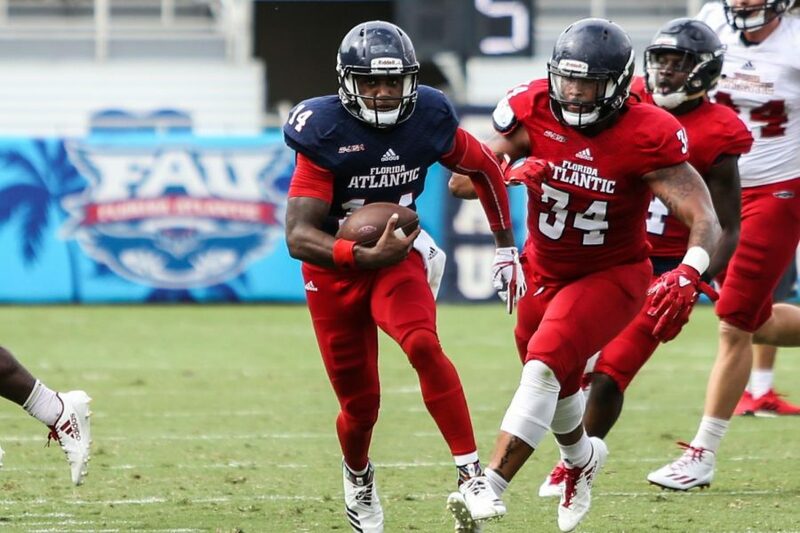 FAU redshirt junior quarterback De’Andre Johnson (14) rushes down field as redshirt senior linebacker Kain Duab (34) attempts to tackle him. 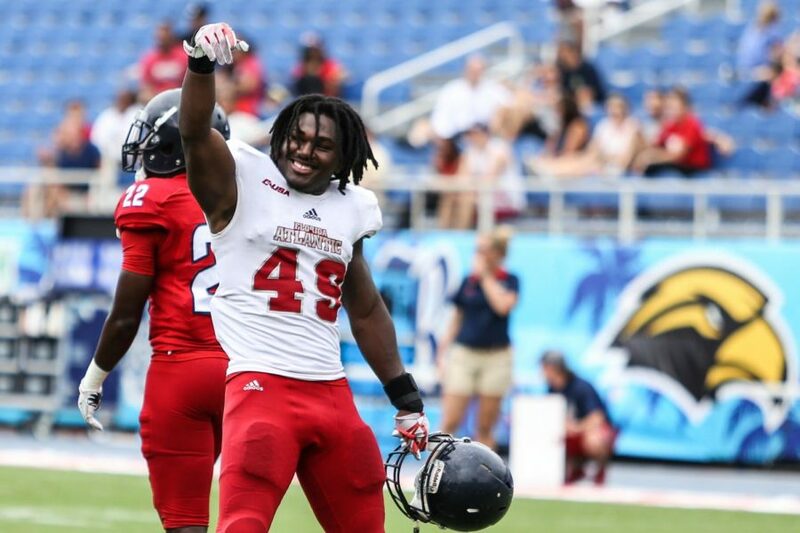 FAU senior linebacker Khantrell Burden (49) celebrates as his team makes their first touchdown during the second quarter. 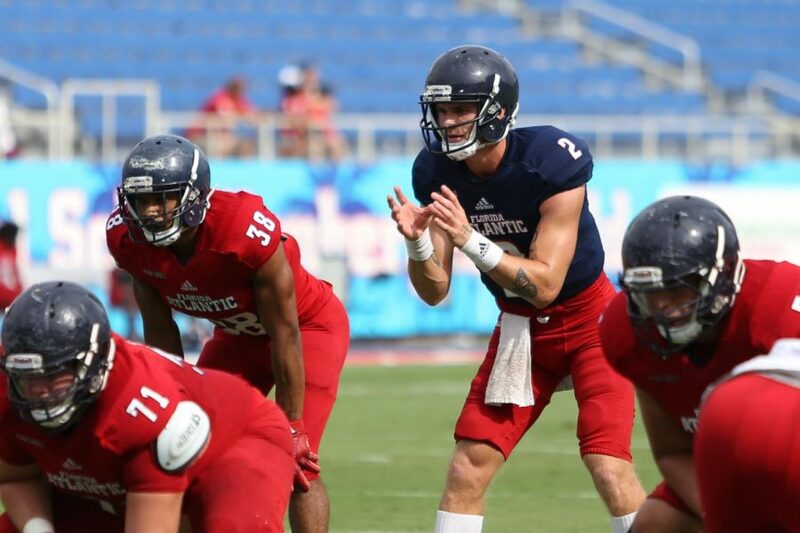 FAU redshirt freshman quarterback Chris Robison (2) waits for the ball to be passed during the second half. 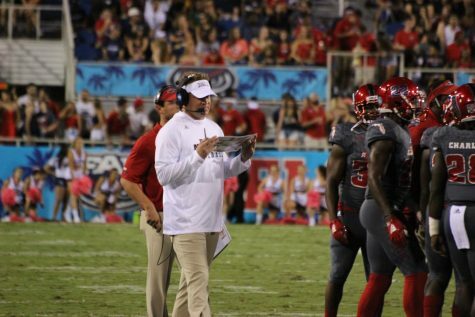 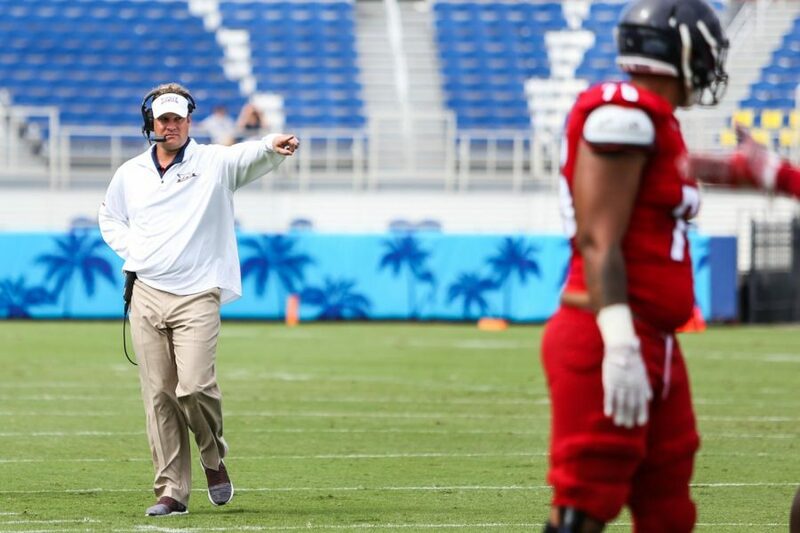 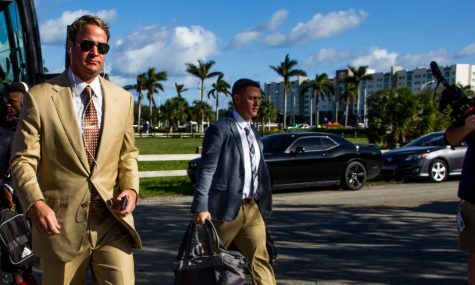 FAU football coach Lane Kiffin shouts at his team during a play in the first half. 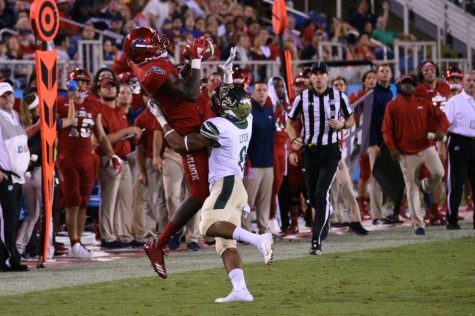 FAU junior defensive end David Belvin III (33) attempts to catch a ball during the play. 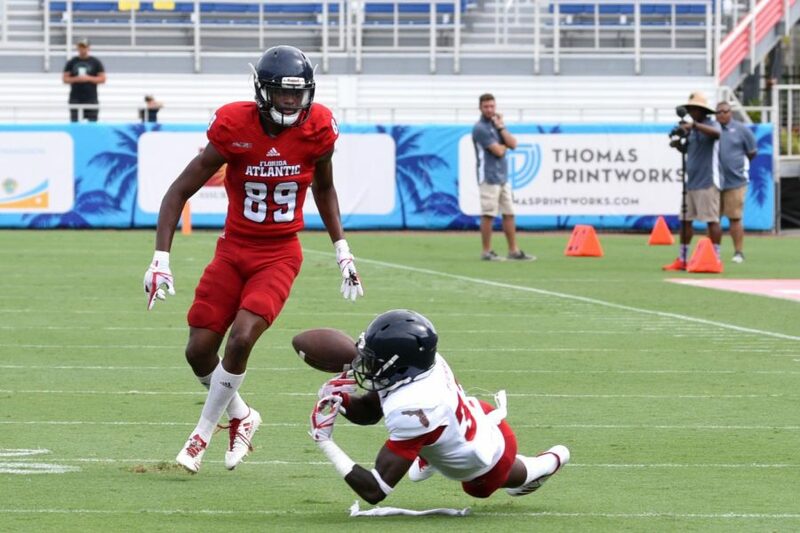 FAU sophomore Willie Wright (86) rushes down field as FAU senior defensive back Herb Miller (21) trails behind him. 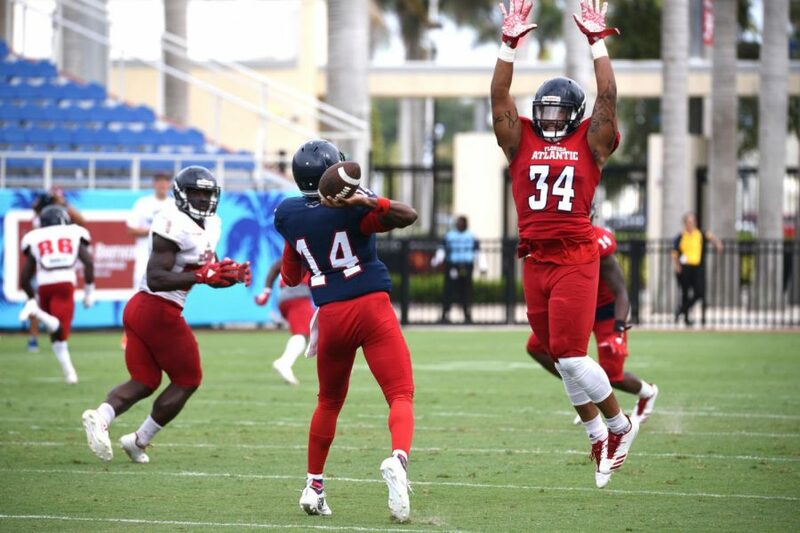 FAU redshirt senior linebacker Kain Duab (34) attempts to block the pass from FAU redshirt junior quarterback De’Andre Johnson (14). 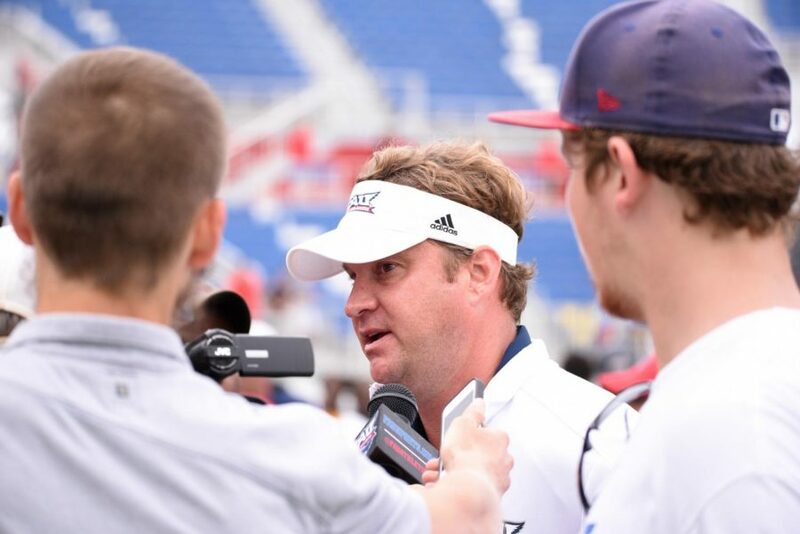 FAU football coach Lane Kiffin speaks to the press about the outcome of the spring football match.